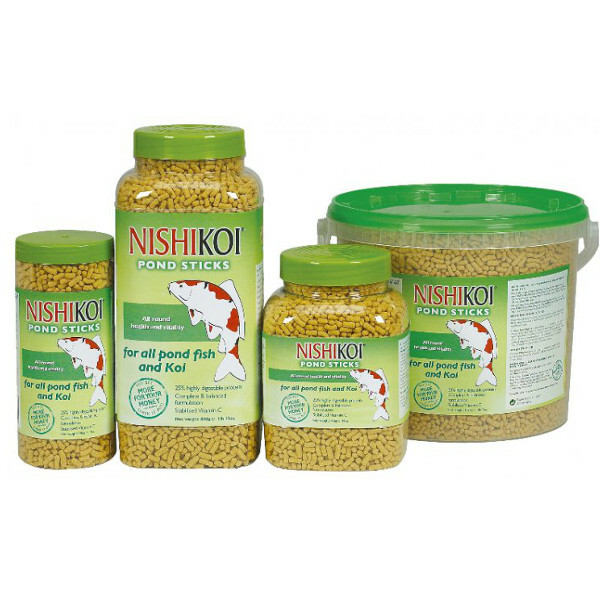 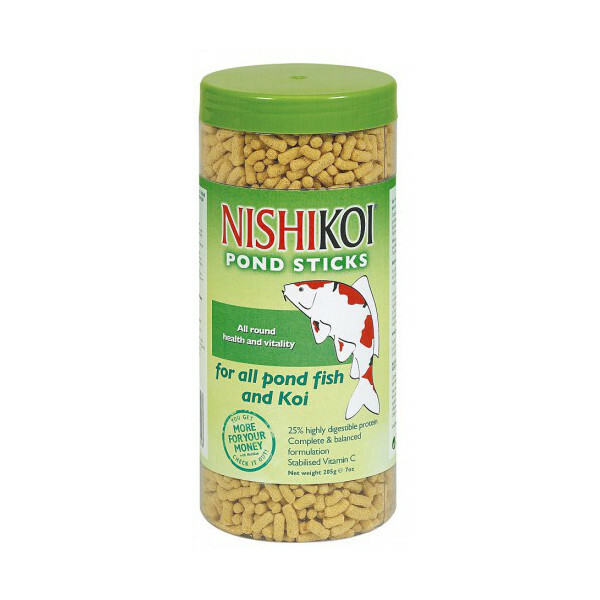 Nishikoi Pond Sticks are specially formulated as an all-round pond food. 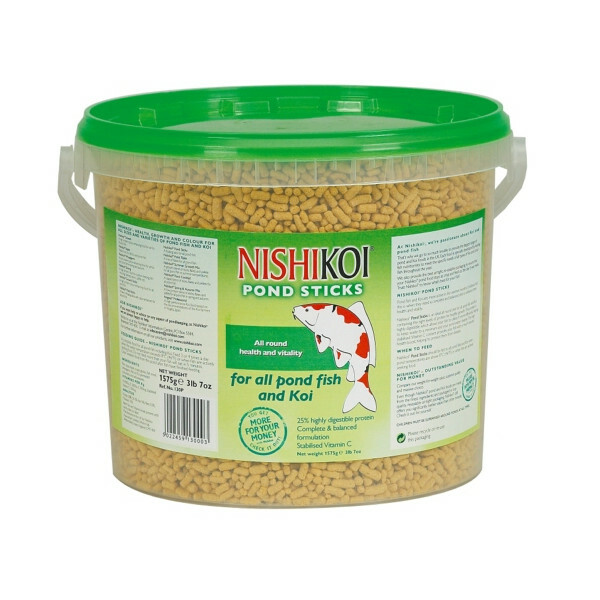 Nishikoi Pond Sticks is a low density, highly digestible food with a blend of ingredients to satisfy a wide range of pond fish. 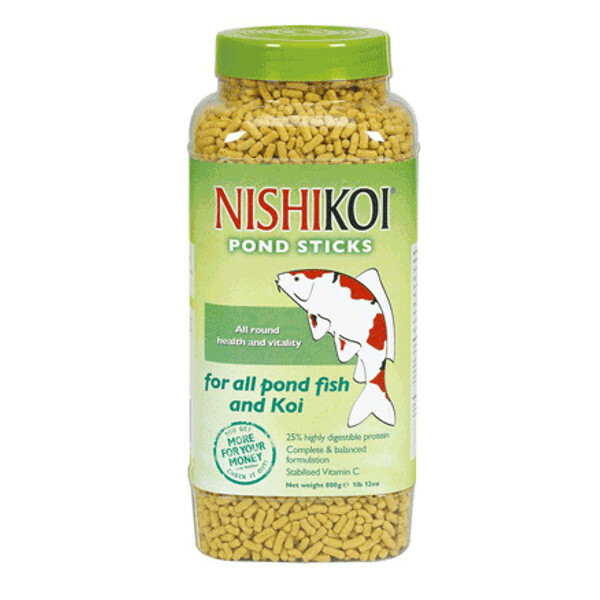 Ideal for beginners, this general purpose stick will float until eaten and is an easy way to determine how much food should be fed. 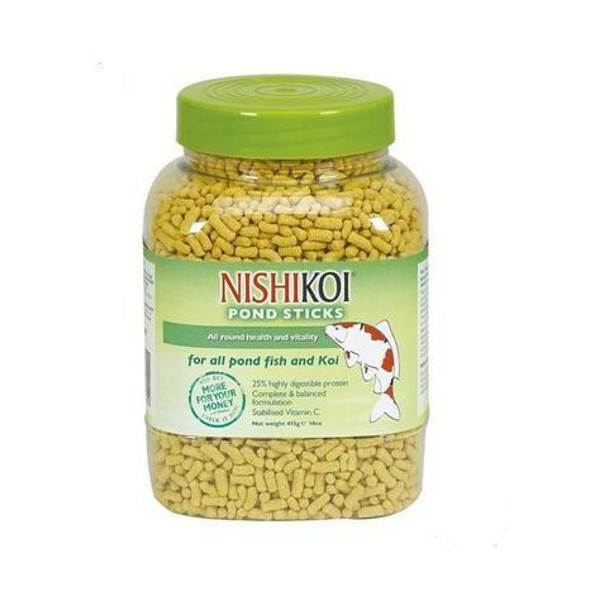 The Pond Sticks have a high stabilised Vitamin C content which provides the fish with a much needed health boost and helps to protect them from disease.